There is plenty of outdoor seating for dogs and owners in this dog friendly pub. Water bowls are also provided. Umbrellas and tree cover for keeping everyone cool. One of the rare dog friendly RSLs, Spotswood Kingsville RSL host Dog Day every Saturday, from 2pm to 8pm. Dog are allowed outdoors, using the bowling green area, measuring 1300 square meters. The area is fenced so they can’t escape. On a hot day, the water sprinkler is on, for a cooling down. There is undercover from the eves of the building, plus under the outdoor table and chairs. Dogs visiting dog friendly bar Republica are allowed outside in a very large courtyard and space out the front by the beach. 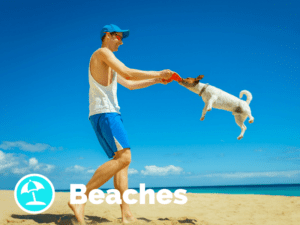 There are beach umbrellas over tables, shady spots, undercover areas and water bowls! The Local Taphouse is a dog friendly pub in St Kilda. Dogs are welcome on the deck and in the beer garden with plenty of shade / cover for them. Fresh water is always on offer! Mantra Studio is a dog friendly bar in Yarraville. Dogs are allowed outside, which is about to go through a little renovation including the installation of a retractable roof and sides to the front enclosure for the comfort of the patrons and their pups. Fresh water & the occasional approved treats are on offer! Dogs are welcome in this dog friendly pub at the beer garden, half of which is under cover. There are also water bowls filled fresh daily. Dog friendly country side pub in Aireys Inlet. Dogs are allowed in all of the outdoor areas (beer garden, deck and large grass area). There’s plenty of rain/sun shelter, and of course water bowls for the thirsty pups. The National Hotel is a dog friendly pub in Richmond. Dogs are most welcome in the beer garden, which is partially covered, so there is definitely enough shade for when the heat gets too much, or the Melbourne winter turns on us. They also provide water bowls for dogs and all the staff are usually pretty quick to grab them, especially if they get a chance for a pat or a cuddle. “We love our dogs at Radio!” This dog friendly bar welcome dog on the outdoor area, which is not fully covered but shade is provided by the trees and umbrellas. Water bowls are always available. Dog friendly bar in Ballarat. Dogs are allowed at the outside area next to the lane where fresh water is on offer. Dog friendly brewery in Preston welcoming pups in their outside area. Currently the outdoor area is not under cover, however they are looking to add that to the area soon, so keep your eyes open for any developments. Dog friendly bar QPO has a large out door area for guests and their dogs. They always have a water bowl out there and space for dogs of all size. Dogs allowed both inside and outside in this super dog friendly Richmond bar. There is a shady dog friendly beer garden out the back with 2 water bowls and some liver treats as a special bonus. Although there is no kitchen they can order food for you through some of their favourite Bridge Road restaurants, or if that doesn’t suit you’re welcome to order in or bring in your own food. Whether you come to watch sport, play board games or relax in a friendly local atmosphere with your pooch Uitgang always makes you feel welcome! Dog friendly bar, Smithward, welcomes four-legged visitors in their pavement seating area where there is some awning shade at times of the day. They always provide a dog bowl full of Melbourne’s finest tapwater. Blizzard Brweing Company is a dog friendly brewery in Dinner Plain. Dogs are allowed inside the tap room, and there are fresh water bowls for them, as well as dog treats made from the spent grain. They love having their guests to have their dogs with them when they visit! Dog friendly pub The Stolberg welcomes pups into their beer garden out at the back with some cover from the weather and dog bowls filled with water every day. 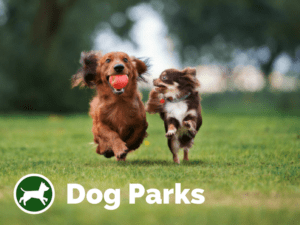 They also host an annual dog event called Paws Pints every March in the beer garden! Animus Distillery is a unique dog friendly bar, cocktail lounge and distillery! Dogs are welcome in the outdoor area only due to the dual purpose venue including the distillation of their premium craft gin. They have some shaded areas, and will soon be working on enhancing this aspect of the venue. The Venue Manager Eva maintains a selection of schmackos that she loves to trade for a pat!! Dogs are more than welcome in the beergarden of this dog friendly pub in Brunswick! In fact they love all of the visiting pups! There’s a fair bit of shade from trees and an under cover area and they are more than happy to provide water bowls. The one and only dog friendly brewery in Healesville welcomes dogs everywhere, so long as they are well behaved. They also have an undercover area outside for those hot summer days. 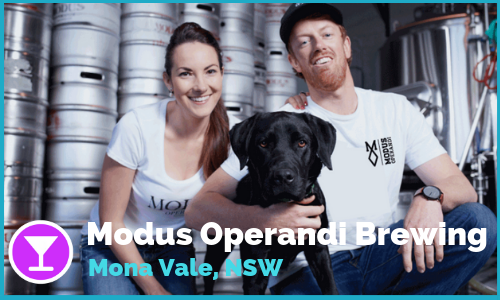 Two families running the show are passionate about Craft Beer and the Yarra Valley, which is why they have taken their name from the beautiful Watts River which flows right through the heart of Healesville. For those moments when you need a little break from wine! 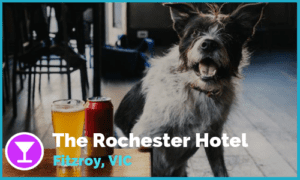 The Milton is a dog friendly pub in Elwood. Dogs are allowed into the Atrium (an indoor area past the main bar) or outside in the courtyard, as long as they’re on leashes and remain in control on the ground! A balance between old and new, rustic and luxurious has been struck throughout The Milton; reclaimed Australian timber and the exposed brick sit comfortably alongside Carrara marble tabletops and bespoke tiling. Astonishing environment for both you and your pup to enjoy! 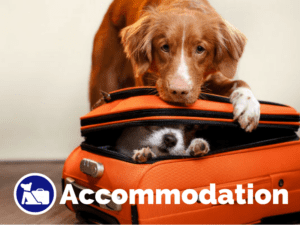 Dog friendly pub, The Boathouse Hotel Patonga is located in the idyllic coastal town of Patonga on the NSW Central Coast, surrounded by the Hawkesbury and Brisbane Waters National Park. It is a 1.5 hour drive from Sydney CBD or a 30 minute ferry trip from Palm Beach, Sydney. This newly renovated pub is a great place to relax after swimming and playing with your dog at the dog friendly Patonga Beach. 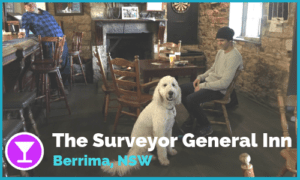 Dog friendly Pub/Bar in Jamberoo. Iconic Pub on your way to South Coast or to the Southern Highlands. Dogs are welcome inside and at the beautiful courtyard at the back. 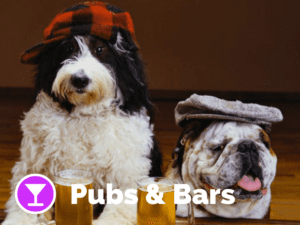 Dog friendly Pub/Bar in Paddington. Great spot to hang around with your pooch. Dogs are welcome inside the pub downstairs. The Commons is a lovely dog friendly Bar in Darlinghurst. Dogs are allowed at the front courtyard, however not that in the case of rain the courtyard is not open.